Every woman needs that go to brand, the one she can always rely on to fit perfectly and look amazing whether you are at a wedding, party or just want to make a bit of an extra effort in your everyday life - for me this brand has to be Chi Chi London. I actually only discovered this amazing brand last year, through social media - I kept seeing the dresses appearing in my feed and soon after headed to the website and fell in love. With pricing for most styles under £80, this brand offers beautifully designed dresses at an amazing price. I have noticed they do offer other items of clothing on the website but I am yet to explore further as I always end up on the dresses tab drooling over embroidery and pretty prints. There are a few styles that have caught my eye and have been sat on my wish list for a while now, but even at the great price I feel like I need an occasion to buy one of these for - simply to stunning to just sit in my wardrobe. Lucky for me, my best friend is getting married in the spring, also stumbled across the brand and to my delight chose one of my wish list as my bridesmaid dress (watch out on my Instagram, to see which one I got). Below are the other five dresses I would love to add to my wardrobe but for now a girl can dream (and hint!). There are many designs on the website but as you can see I tend to stick to one silhouette, I know what works for me. All these styles are fitted at the waist and come with a gorgeous full skirt complete with tulle underskirt, giving such a beautiful shape and oodles of femininity. Available from ChiChiLondon.com and to my delight also from ASOS. 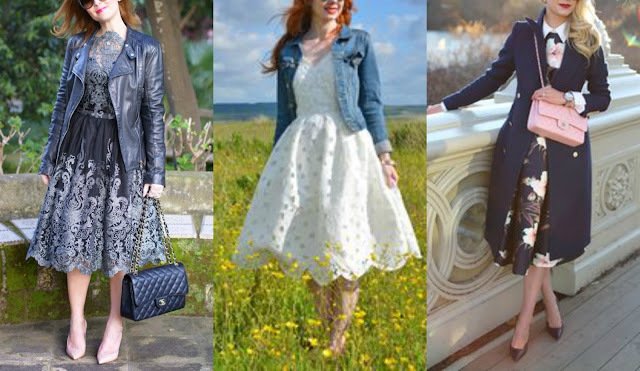 Another thing i love is that these beautiful dresses don't have to be kept for a special occasion, these great images from Pinterest show how Chi Chi London can be dressed down for a chic everyday look - with the right accessories and a jacket you can take something glam and make it everyday sophisticated. I particularly like the floral dress layered over a white shirt for an office appropriate look, something I may try and it gives me a good excuse to buy - this dress is actually the Beth dress above and was one of the reasons it made it on my wishlist. These are all gorgeous selections! Love it! 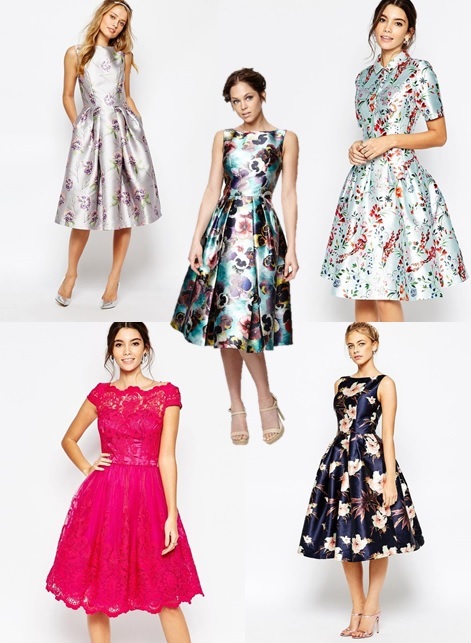 All of these dresses are so gorgeous! Love all these dresses! Nice selection!